The Pro Tour has come and gone. Are you embracing your energy overlords? I hope not but I couldn’t really blame you if you did. In fact, it’s probably best deck to play if you’re just trying to win and that’s all you care about. Luckily, we have players that want to win and have fun. To me, Magic can get boring if I’m just playing mirror match after mirror match. I don’t enjoy that aspect of Magic. I tend to do better when I’m having fun and enjoying myself, at least I tell myself that. Today we are going to talk about a card that has fallen out favor in Standard since Ulamog, the Ceaseless Hunger rotated out of the format. The card I’m talking about is, Hour of Promise. Hour of Promise is an extremely powerful card that not only allows you to tutor up any two lands into your deck and put them onto the battlefield, but it can also make you two 2/2 zombies in the process. The reason I want to talk about Hour of Promise is because, traditionally, big mana strategies are very good against midrange strategies. 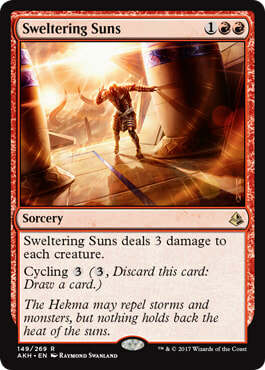 We’ve seen this with Ulamog ramp and just big mana spells like Approach of the Second Sun. So, I hope you’re ready for some ramp talk! But . . . Before we begin, I’m gonna take a second and explain why I think energy is a problem and a mistake. I don’t often rant, but today is the day fellow MTGers. So, gather around and listen to grandpa Ali complain, or keep moving down to the decklists. To understand why energy is a problem, we need to understand what a healthy metagame looks like. Wizards and a lot of other TCGs have healthy formats when midrange decks thrive. When a midrange deck(s) are the best in the format, then you typically have a healthy environment because people can play all sorts of midrange decks since they all do the same thing. You just get to pick what you enjoy doing in your midrange deck and you get to do it. So, what’s the problem now? Energy is a midrange deck. The problem is, it’s THE midrange deck. If you’re playing a midrange deck that isn’t energy based, you’re doing yourself a disservice. Energy just gives you too many options. The midrange energy decks stifle the growth of other midrange decks because they are too good, and THAT is the problem. Dinosaurs are great, but they can’t compete with energy. Pirates might’ve had a shot if energy didn’t exist. Merfolk seems to be getting some sweet cards in the next expansion, but if they can compete, it’s going to be because they are energy based. The reason energy is a problem is because of the options it gives you. Here’s an example: this is how Attune with Aether reads. 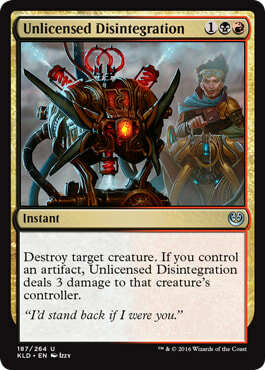 It does even more than that since it works with Confiscation Coup, Aethersphere Harvester, and whatever else uses energy. This also applies to Rogue Refiner. 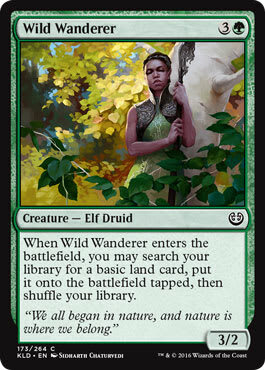 For 3 mana you get a 3/2 body that draws you a card plus two energy which is essentially choose whatever you want. Do you see why this is a problem? If you’re not playing an energy midrange deck, you’re literally just limiting your options. You have no reason to play any other midrange deck. Players have no way to interact with energy once a player gains it. It’s basically in the “emblem zone.” Maybe if Solemnity cleared energy as well or we could somehow remove energy with an artifact, but we can’t and, as it stands, energy is by a mile the best midrange strategy. You can’t play other midrange decks as efficiently and therefore energy is a problem. All right, that’s my rant on energy. I’m ready to move on now that we have gotten that out of the way. Shipitnugs has indeed shipped those delicious nuggets and come up with a powerful and, what looks to be, very fun shell for Hour of Promise. They even have Nicol Bolas in the Sideboard! What more could you want?! This deck is breath of fresh air. On top playing a lot of sweet cards, it’s also done well. Shipitnugs took his Promise Control deck to an undefeated finish in a Competitive Magic Online League. Let’s talk a little about his deck. This deck aims to ramp up into its haymakers and it has a ton of ways to do it. 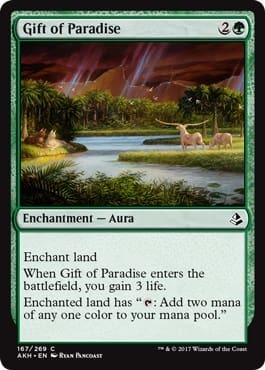 Gift of Paradise is the quickest way to fix your mana while also gaining you some life in the process. Therefore, it’s the first one Shipit maxed out on. In fact, Gift of Paradise is the only way to cast Mind and it’s also the best way to cast Ribbons. The deck is a deck at its core that splashes Black and a tiny bit of Blue. 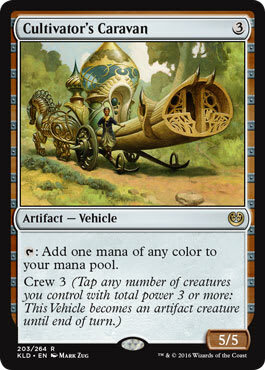 Ramping gets you to your big spells, but you need road bumps along the way. Which leads us to our next section . . . The deck has more removal than this but that’s when you’ve solidified your mana and gotten to the late game. These removal spells are the ones that are helping you get to the late game by allowing you to survive the early and mid-game. What’s great about most of these removal spells is that they are also fine to game ending late. Ribbons can very easily just kill your opponent when you’ve gotten your mana established. Sweltering Suns you can just cycle. Survive will let you re-buy all your spells if your opponent has somehow made you empty your hand or out lasted your threats. It will be very hard for them to deal with everything when you have your mana established. Most of your lands should be out of your deck as well. 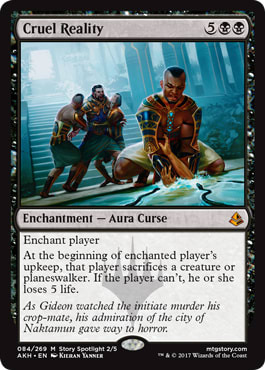 So those are the obvious threats, but the deck has other ways to close out the game like Ramunap Ruins, Ribbons, and Glorybringer. 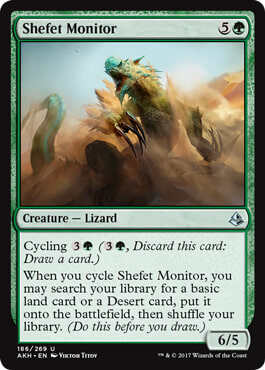 Quite frankly any of the creatures should win you the game if you can keep the battlefield clear of creatures. 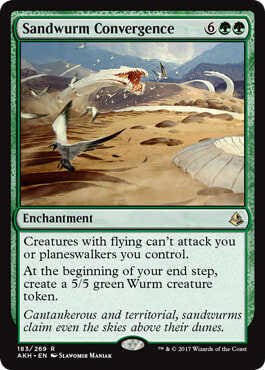 Sandwurm Convergence stops fliers from getting in while also giving you a 5/5 threat every turn that can block anything on the ground if need be. 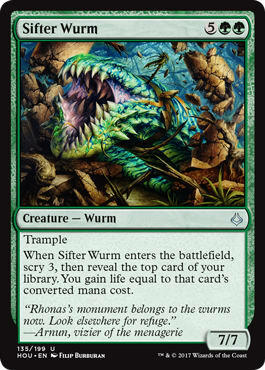 Sifter Wurm is a threat that doubles as card filtering and life gain. Torment of Hailfire is just a solid way to close out a game when you have a ton of mana laying around, it also plays well with Cruel Reality. This deck looks to be a deck someone was testing out to see what worked so they could tune it better for the future. 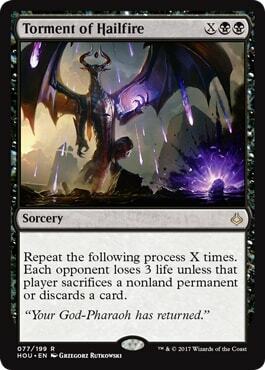 I think it has potential, but I’m not sold on some of the cards in the list like Torment of Hailfire then six board wipes in Hour of Devastation and Star of Extinction. I understand that Star of Extinction is a terrific way to deal with a Bristling Hydra that has gotten out of hand. Bristling Hydra can quickly grow out of range of Hour of Devastation and it’s near impossible to remove it with targeted removal. I can’t help but wonder if The Scorpion God should just be main deck. It’s a great way to kill off creatures with your extra mana laying around, those creatures that die refill your hand and it’s a solid beater. 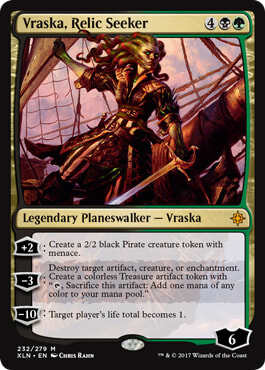 I’d want another Vraska's Contempt because I could see The Scarab God being a pain after you’ve killed a bunch of creatures. You should probably test it first as is but I’d these are changes I would recommend for those that are curious. I don’t want to stray too different from the original list before I play some matches, but I’d want more ways to refill my hand with cards after killing creatures and that’s just what I did. Arguel's Blood Fast, Sunbird's Invocation, and The Scorpion God are just all solid ways to refill your hand. I cut one Star of Extinction for a Bontu's Last Reckoning in case you need a cheap board clear before you get to seven mana. That could be wrong, but the deck felt very top heavy if you didn’t draw your cards in the right order. 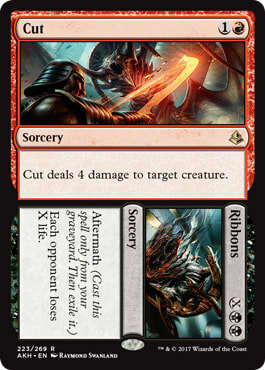 Don’t get me wrong, it still is, but you also have more removal in another Vraska's Contempt and Cut // Ribbons. Hopefully this deck is a trend for future Hour of Promise decks. Thank you sitting through my Energy rant and getting this far. I always appreciate you guys, keep the brew alive!